These are the records of The Thursday Night Club. Our aims are to photograph where few cavers have photographed before. 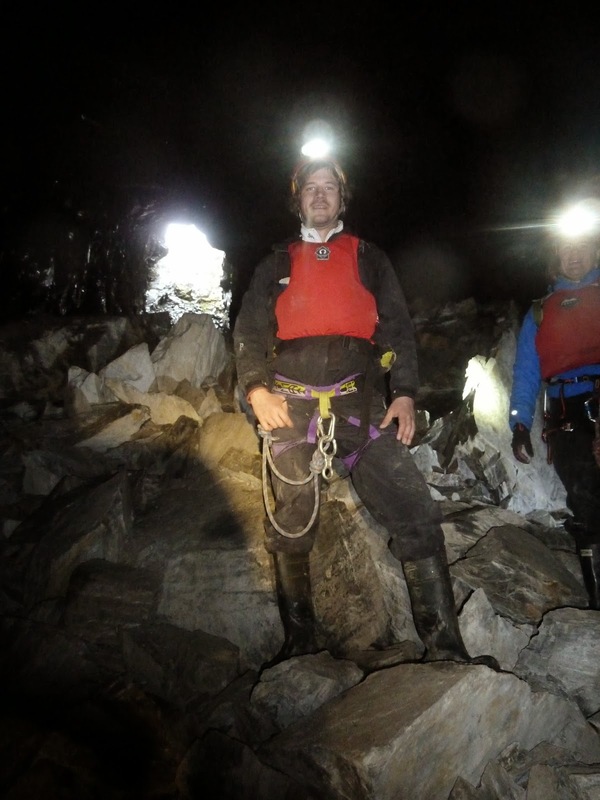 What trip involves headlights, caving gear and buoyancy aids? 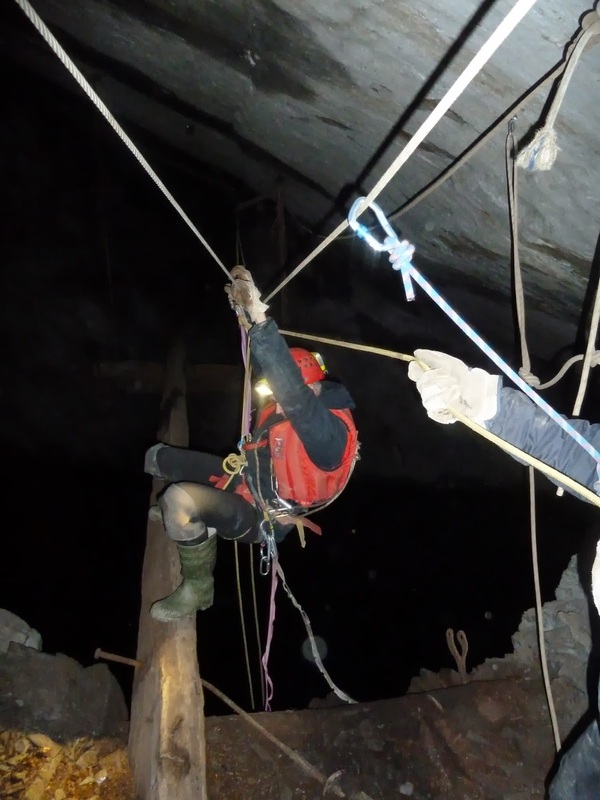 The through trip of the Creosor -Rhosydd Mine. 'Oh my God I have split my trousers' said Kate. A fair way into the mine we were then faced with this bridge, little did we know that this was definitely one of the easier ones! Couldn't believe how clear the water was when crossing, amazing! 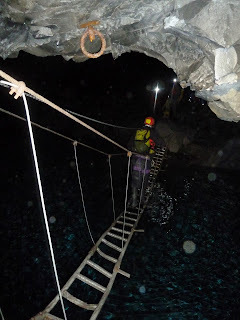 Kate traversing around the third chamber and loving every second. 'Why is Sarah laughing so much'? The team stop for lunch of traditional miner's fare - Welsh Pasties. 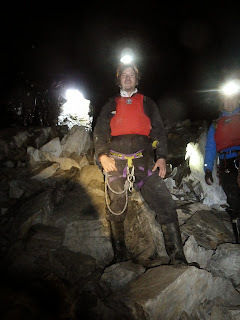 Joe with the first daylight since leaving Creosor at the West Twll in Rhosydd Mine having just enjoyed a whisky. The team happy to be out in the daylight at Rhosydd entrance. Only the walk back down the valley to the car left.